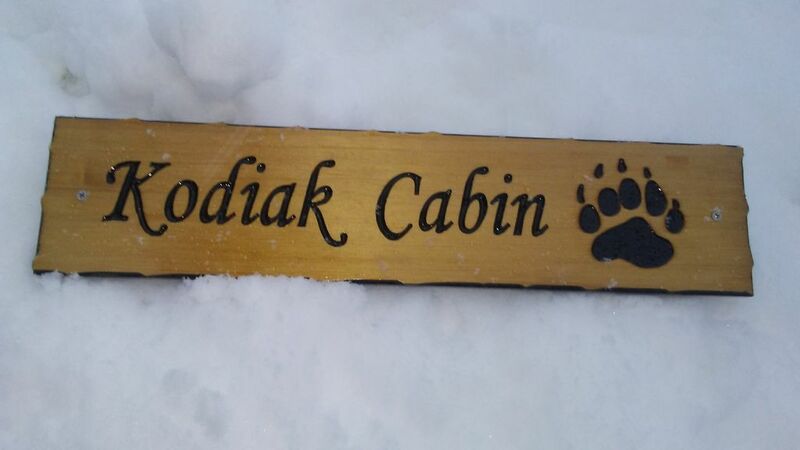 Welcome to the Kodiak Cabin, a studio style cabin featuring a main room with a beautiful queen bed and sofa. There is a USB charging port next to the bed to recharge your electronics at the end of the day, as well as a Wifi TV that is ready for your Hulu, Amazon or Sling sign-ins. The kitchen features full size appliances, a gas stove, dishes, microwave, toaster, and cooking utensils. The bath showcases a Huge shower, dual flush toilet and a hot water on demand system for wonderfully hot showers, as well as towels, hair dryer, toothbrush, toothpaste, shampoo, conditioner, soap. Outside the cabin is a common front yard, shared with the Bristol Bay and Sitka cabins, Horseshoe pit and a Fire pit. The local area is nestled in the Alaskan woods. The cabin is an easy walking distance to remote wooded trails past 100 foot Spruce trees and streams teaming with Salmon. You can walk up glacier fed creeks, spot moose and bear, and watch eagles soar above. We are located a short 10 minute drive from Seward, where you will find the historic downtown area, lots of shops in the small boat harbor, restaurants, deep sea fishing, whale watching, glacier viewing and much more. **If the dates you need are not available with this cabin, then please look for my "Sitka" and "Bristol Bay" cabins as well! They are located in the same area. Bath has gorgeous 4 foot wide shower, and dual flush toilet. Cabinets for storage and mirror (no sink). Small deck out front with a bench to enjoy the evenings!